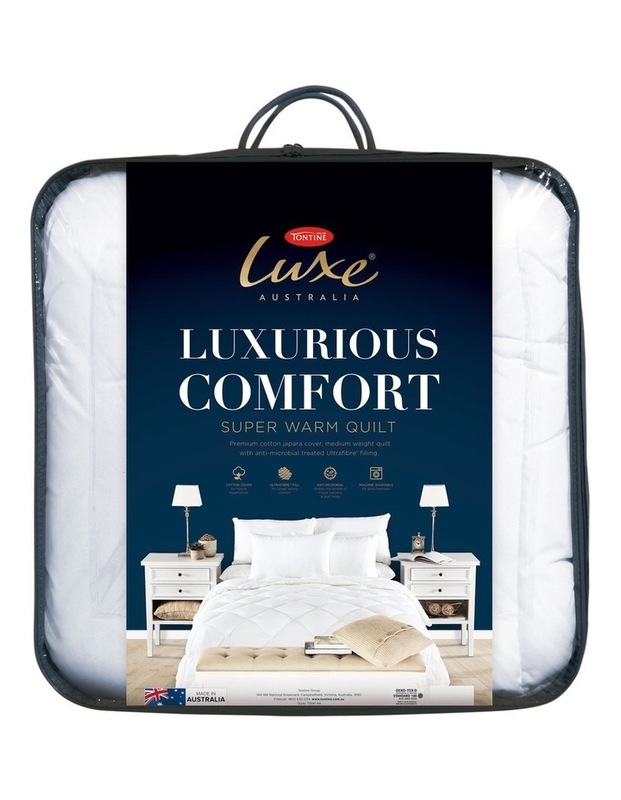 The Tontine Luxe Luxurious Comfort Quilt is a great addition to the Comfort range. This Quilt is generously filled to a Super Warm rating, ideal for cold, winter nights. Encased in a premium natural cotton Japara cover. Fibre has built in anti-microbial treatment which inhibits the growth of bacteria, mould and dust mites. The treatment lasts the life of the product. Machine washable for easy care.